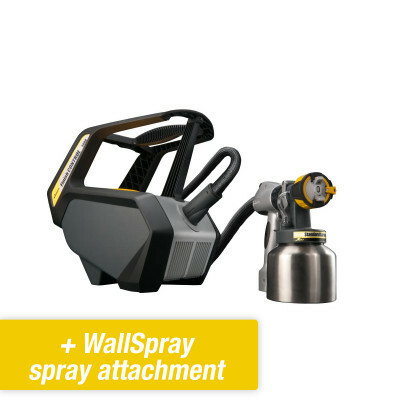 An XVLP paint sprayer is often used for smaller professional projects. Think of doors, frames, a few walls, etc. Nearly all paints can be applied with an XVLP paint sprayer. 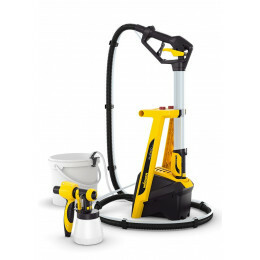 What is a XVLP paint sprayer? XVLP is actually HVLP on steroids. You can consider the technique and principle an update of the ‘old’ HVLP technique. What does XVLP stand for and how should we see it in relation to HEA and Airless? XVLP is a technique used especially for small surfaces because XVLP sprayers work with a paint cup and that makes it less suitable for covering large areas. On average, the paint cup (reservoir) holds enough to spray about 7 m2. If you want to spray larger areas, you will have to keep refilling the cup. On the other hand, the XVLP is easy to use. Just fill the gun with paint and off you go. Compared to Airless, its has a faster preparation time, better spray pattern, is easier to use, easy to switch colors and easy to clean. These features make it ideal for spraying varnishes, stains and wall paint (latex) on small surface areas. The big difference between XVLP and HVLP is actually the downside of the HVLP. As you can read in the section on HVLP, the spray pattern is less attractive than what you get with HEA and Airless. In particular, HEA gives a contrast in quality. However, because XVLP has more power than HVLP, it produces much finer atomization. As a result, the spray pattern corresponds to an Airless sprayer and that equals a top quality finish! HEA scores even higher in the field of spraying. However, if you have a small job, a door or cabinet for example, and you want the highest quality, then XVLP is definitely a very interesting choice! 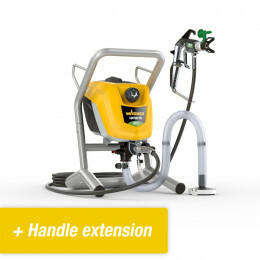 XVLP paint sprayers are often bought by demanding consumers or professional who want the best for their clients. The professional usually has two machines. 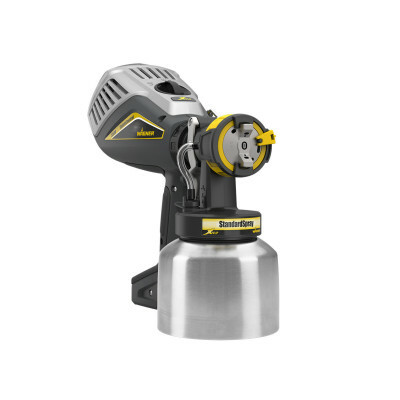 An Airless or HEA for the larger jobs and an XVLP for the small ones. By the way, the HEA is better for small objects; it is easier to get started and also simpler and more user-friendly in comparison with Airless. 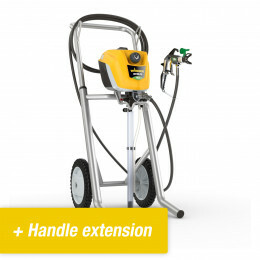 XVLP paint sprayers can be used for the same jobs as HVLP. If you occasionally need to paint a wall, or if you want to spray cabinets, doors, and windows, then the Wagner XVLP paint sprayer is an interesting choice! Attractive finish, equal to Airless quality.